October 27, 2015 – Congress is considering the Bipartisan Budget Act of 2015. This proposed budget agreement would reduce an expected spike in the Medicare Part B deductible and premiums for 2016. The premium increase, expected to be over 50% for beneficiaries who do not already have premiums taken from their Social Security, will instead be about 15%. Similarly, the Part B deductible would increase approximately $20.00 rather than the previously projected $75.00. The cost of limiting the increases will be paid for by a loan from general revenues. Medicare beneficiaries will pay back the loan over time from set increases to future premiums. 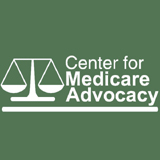 “While we have concerns about the way in which the Part B cost-sharing resolution is paid for, we are glad people who rely on Medicare can breathe a bit easier – knowing their premiums and deductible will not skyrocket next year,” said Judith Stein, founder and executive director of the Center for Medicare Advocacy.